Saved from WWE.com so it’s obviously their property. 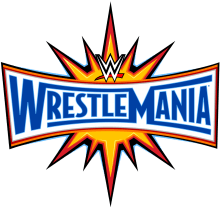 Jeremy & Kevin wanted to stream line the Wrestlemania preview process by splitting it into a mere two shows, split along brand lines. They start by talking about Luke Gallows & Karl Anderson defending the Raw Tag Team Titles against Enzo Amore & Big Cass and Cesaro & Sheamus. What can be said about an entire division that is still less important the hosts of WM, the New Day? Will the guys actually write down their annual predictions starting with this lackluster match? They move along to talk about Neville defending the Cruiser Weight Title against Austin Aries. Which of your hosts will be disappointed later in the show when it’s announced that this match is officially announced for the pre-show? The guys move along to Seth Rollins taking on HHH in an “Unsanctioned Match” after Rollins signed the “Hold Harmless Agreement.” What damage would be done to Rollins if he doesn’t win? Will Samoa Joe interfere in this match to start a feud after WM with Rollins? Is the WWE trying to mimic the title changes in the UFC with how often they have played hot potato with the Raw Women’s Championship? Is there any chance that Nia Jax will win? Will Bayley retain? Can Charlotte get back on her PPV winning streak? Will Sasha Banks turn heel in this match to make it more memorable? How excited are your hosts for the best written angle between Chris Jericho and Kevin Owens? Could this also be one of the better wrestled matches of the night? Next to last on the match list is Roman Reigns taking on the Undertaker? Do we all feel bad that Taker is going to take another L at Wrestlemania? Will it complete Reigns transformation into a heel? Is there any chance that the Goldberg vs Brock Lesnar match lasts longer than 15 minutes? Are their match ups another instance where the WWE is trying to imitate the UFC? Find out all of their predictions when click the link below.